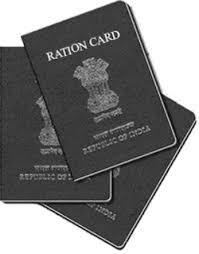 In India, ration card is a crucial document required for the purpose of availing food, especially wheat and rice offered by the government of India. Possession of ration card is also important to avail LPG and kerosene facilities. A ration card can be obtained in the name of the family head. Every year, the planning commission of India performs the task of collecting data relating to annual income of the people. Based on data collected, this commission defines three levels of poverty. Thus ration cards are available in three categories, for the extremely poor, for those below poverty line and for those above poverty line. Recently, the government has launched a new system to avail e-ration card. With the help of internet, people can now apply for a ration card and track its status easily. Information regarding the availability and cost of food grains can also be fetched online. Every state government has a website of its own in order to make it easy for the consumers. For instance, people belonging to Tamilnadu can visit their respective website and check for the status of their ration card application. The consumers are first expected to create a user name in order to proceed with their ration card application. This process will only take a moment. A verification link will be sent to their e-mail address once they create an account with the website. Consumers are expected to activate this verification link. This will enable them to sign into the website. After signing in, the consumers can avail several services relating to ration card. The consumers will find that the websites are highly self-explanatory and easy to use. As the next step, the ration card application form given in the website can be downloaded. This application form is provided for three purposes, to obtain a new ration card, to obtain a duplicate ration card and to revalidate a ration card. It is important that the consumers fill in this form with correct information. Applying for a ration card using false information or suppressed information is considered illegal by the government. The consumers must understand that the information furnished by them will be verified by the government before issuing the ration card. The application form requires basic details of the consumer such as his full name, residential address and nationality. In case the consumer has lost his original ration card or if his card got damaged due to some reason, he can apply for a duplicate by using his original ration card number. In this case, the consumer will be expected to furnish details of FIR filed by him. While applying for ration card online, the consumers are also expected to produce a copy of their transfer order and a surrender certificate. Even though the ration card is issued in the name of the family head, all the members of the family mentioned in the card will be verified for their identity before issuing the ration card. The consumer can upload scanned copies of these documents online. Along with the application, the consumer is expected to produce his passport size photograph and a document for address proof. For address proof, a consumer can produce his driving license, voter id, telephone bill or his employment id. For those consumers who do not possess any of the above documents, they can get in touch with the inspector of food and civil supplies. This department will carry out enquiries about the individual and confirm if the individual is a resident of that area. The consumers are expected to pay a processing fee while applying for the ration card. Consumers applying for duplicate ration card are also expected to pay a processing fee. In several states, the government of India has launched a new plan of updating consumer’s aadhar card information in their ration card. The aim of this plan is to ensure security from several cases of fraud. Also, managing these linked ration cards becomes an easy task for the government. This is generally carried out by visiting the respective department in the district. But the easiest way to do this is through internet. Online portals are made available that allow the consumers to link their aadhaar cards to their ration cards. 0 Komentar untuk "How to get Ration Card Status Online - Food and Civil Supplies Department"